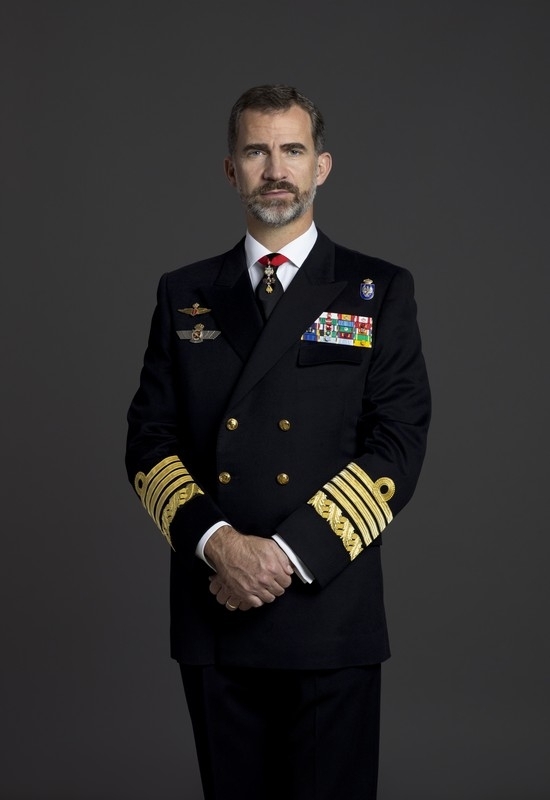 His Majesty the King of Spain, Felipe VI, presides the Committee of Honor of Termatalia 2019 to be held in Ourense between September 18 and 21. This acceptance supports once again the trajectory of the International Fair of Thermal Tourism, Health and Welfare and positions it as a project of general interest for society by promoting the Culture of Water and its sustainable use, while generating new business opportunities for Spanish and Latin American companies since the fair has positioned itself as an example of public-private cooperation in Ibero-America. With his acceptance to be part of this project, the House of the King ratifies his support once again to this appointment, chairing the honor committee year after year since he was Prince of Asturias and has continued to do now in his role as monarch. The boom that thermalism is experiencing as an economic, tourist and health activity, leads to the need to involve public and private bodies. This fact will take one more year to the organization of TERMATALIA to make part of this project to different national and regional public institutions related to the health tourism sector. 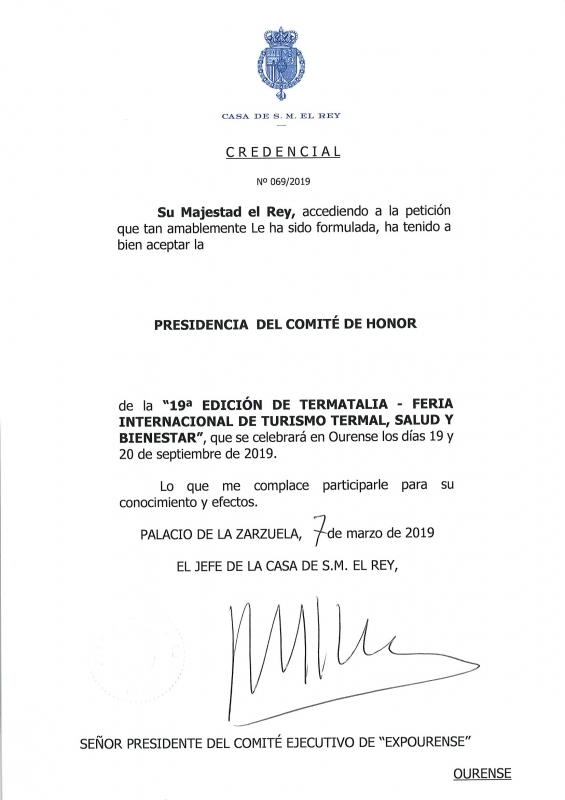 Termatalia has the Internationality Seal granted by the Ministry of Industry, Commerce and Tourism of the Government of Spain. With regard to its editions in Latin America, the acknowledgments and support of the different states and countries that were the headquarters have taken place. It celebrated its last edition in 2018 in Foz do Iguaçu, Brazil, with the support of the main public and private tourism agents of the country and was chaired by the Brazilian Tourism Minister, Vinicius Lummertz. During the edition of Mexico in 2016, Termatalia was recognized by the Congress of Deputies of the State of Coahuila. In the edition of Argentina in 2014 got the declaration of Tourist Interest of the Argentine Government and the Declaration of Parliamentary Interest on the part of the Chamber of Deputies of the Nation. During the 2012 edition, held in Peru, the fair also won the International Fair recognition by the Ministry of Foreign Affairs of the Government of Peru and also the Declaration of "National Tourist Event" by the Ministry of Foreign Trade and Tourism.